The Olympics: that once-every-four-years event for worldwide sports buffs and armchair enthusiasts to enjoy. During the past week, we’ve been reacquainting ourselves with the ins and outs of the uneven bars, the butterfly, and the execution of a perfect platform dive. Unsurprisingly, Pulitzer-Prize winning author David Maraniss’ new book published in July, Rome 1960: The Olympics that Changed the World, has recently landed on the NYT Bestseller list in the nonfiction category. While Maraniss’ book focuses on the eighteen days in 1960 when the Olympics were held in Rome, its stories of racial, cultural, and political battles remain familiar to us today. The 1960 Olympics were the first commercially televised Games, when doping scandals and sponsorship money were just starting to cloud the scene. The cold war was well underway, and Maraniss tells how American athletes like Wilma Rudolph, Rafer Johnson, and Cassius Clay emerged as this nation’s shining stars. In short: Maraniss does an excellent job gathering together a host of inspirational stories in this book, and his knowledge of politics and history makes its best moments shimmer brighter than the gold medal dangling from a winning athlete’s neck. 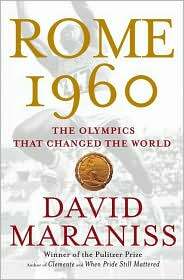 To read my full-length review of David Maraniss’ Rome 1960: The Olympics that Changed the World on the About.com Contemporary Literature site, click here. It’s the end of an era, really. 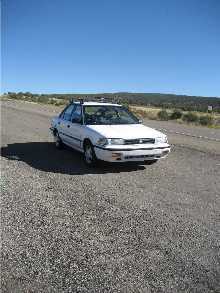 I just sold the family Toyota Corolla for $750, firm. Cash. This vehicle was given to my sister in 1992 as a gift when she was in college, and it got passed on to me when she moved to NYC. 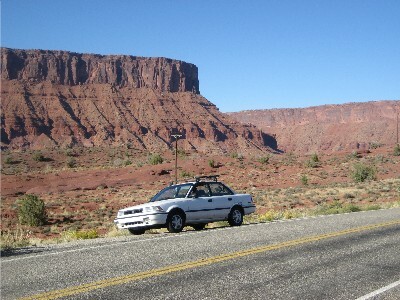 During the years that I was in and out of the U.S., the Toyota sat in my parents’ driveway in Kentucky, rusting in the humidity. Getting rid of a car like this doesn’t get rid of all the memories: over 194,000 miles of them. 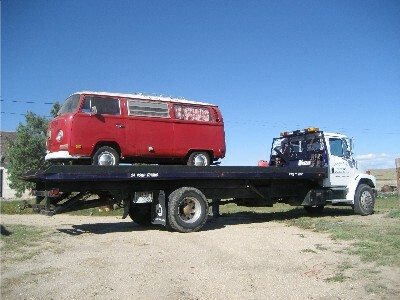 This vehicle had been all over the place—to Texas and Arkansas and back. From Colorado to New York to North Carolina to visit a college boyfriend. An impulsive drive to view the disappointing Mount Rushmore. Night drives in the mountains. Over snowy passes. Quickie climbing trips to Utah. I made the decision to sell the Toyota because I didn’t want to put any more money into a vehicle that was about to go kaput. It squealed when I started it in the cold, and the front joints (the CV joints??) clicked so much when I turned that I feared the wheels would go flying off. The passenger-side mirror was missing, and the trunk leaked when it rained. A pool of rusty water sat stagnant where the spare tire should have been. All photos captured by The Sister. Poem by Robert Frost. 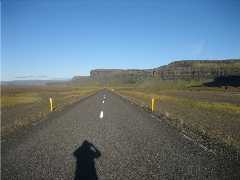 Top right: Out there on Iceland’s Ring Road. 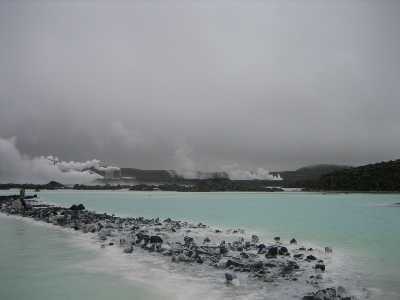 Next: The Blue Lagoon, near Grindavik. 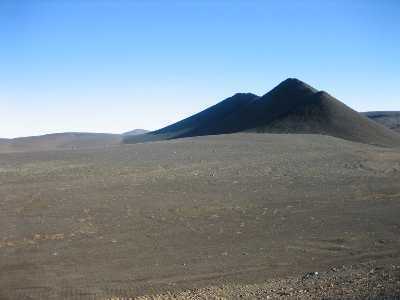 Middle: Volcanic Hills, in middle-of-nowhere, northwest Iceland. 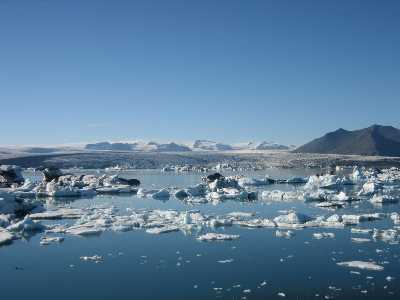 Bottom: Jokulsarlon glacier calving into the sea—this photo is Down and Out’s header as well.